It’s a pretty breathtaking feeling to sail this sea for the first time. 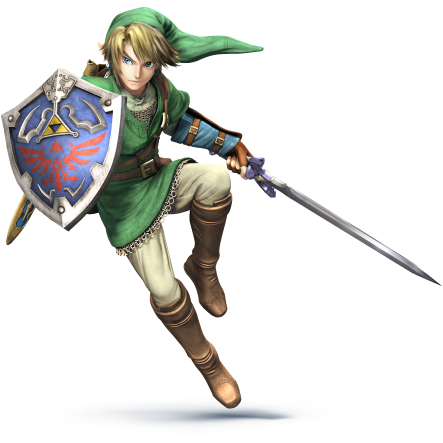 The Legend of Zelda has become quite the phenomenon since its original release in 1986. The first game gave players an adventure they hadn’t quite imagined in gaming before and getting to the end required much skill, thought and communication with other players in order to complete. Since then the series stands as one of Nintendo’s top franchises sporting major releases on every one of their consoles and handhelds ever released. The games are always highly anticipated affairs because, not only does the quality of the series remain so high, but each release is unparalleled in regards to the sense of adventure and exploration they have to offer. 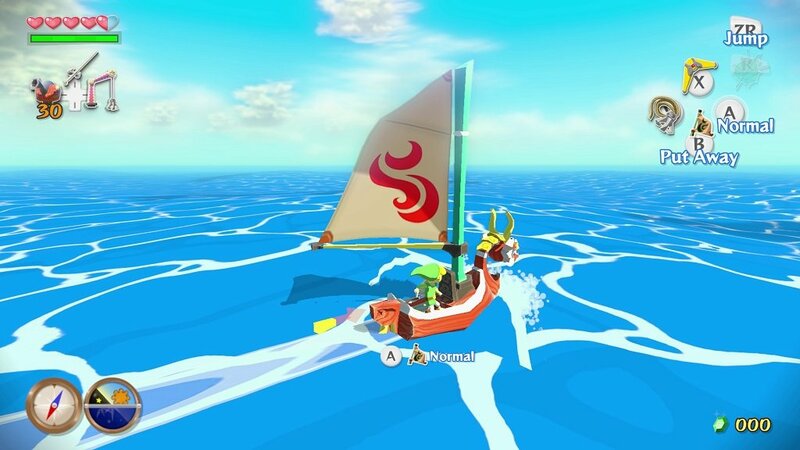 Whether it’s running across Hyrule fields, sailing the Great Sea or witnessing the huge scale of the upcoming Wii U world, the games continue to wonder and amaze us. The three members of the Triforce: Let their battle rage on. All these aspects have been present from the very beginning, and they even manage to overshadow the fact that the premise for almost every game has remained the same. 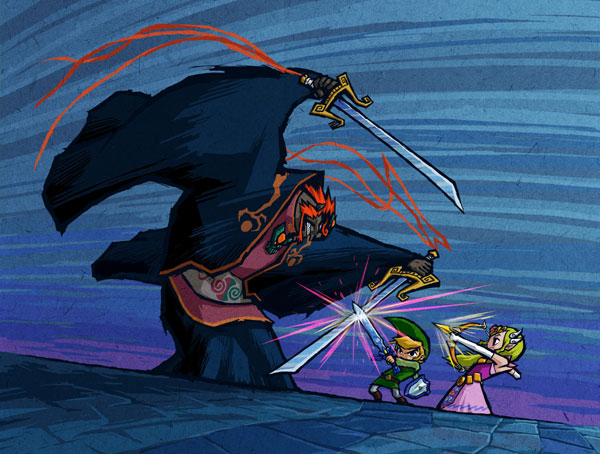 Link must save the princess Zelda while collecting pieces of the broken Triforce, often battling against Ganon along the way; the three characters destined to be reincarnated through time to wage their battle over and over again. It is partly this mythology surrounding the central characters that keeps us interested today, being a part of a rather complicated timeline which branches in three different directions. It allows us to realise how much love and care has gone into creating and maintaining this universe. Yet at the same time each game stands entirely on its own merit and manages to involve us in the particular rendition of the world it is trying to portray. The franchise itself has spanned many sequels on all sorts of Nintendo platforms and has managed to sell over 70 million copies largely on main titles alone (the series has not seen many spin-off games unlike many other major Nintendo franchises). The series currently has two major directions; the original top-down perspective seen in titles such as A Link to the Past and Link’s Awakening and a 3D third-person perspective in titles such as Ocarina of Time and Twilight Princess. The design style can vary between each title from gritty and mature, to bright colours and cel-shaded graphics (which has ultimately led to the creation of the Toon Link timeline). Each game is specifically tailored around the world it is trying to create allowing each new release to look, play and feel fresh because each is presenting us with a different world to play through. Link wanted to see what all this side-scrolling business was about. 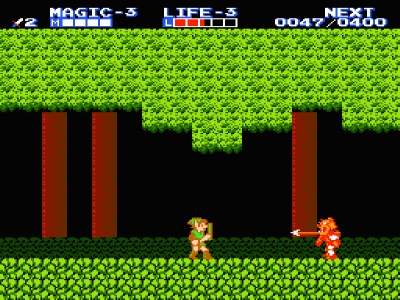 The original game play formula seen in The Legend of Zelda on the NES has remained relevant today, however the first sequel The Adventure of Link took an entirely different direction. It wasn’t until 1991 and A Link to the Past was released on the SNES that the formula received a proper sequel. Since then this rendition of the Zelda series has been adopted by Nintendo’s handheld systems and other than receiving touch screen controls in Phantom Hourglass and Spirit Tracks has played similarly ever since. The most recent Zelda release, A Link Between Worlds in 2013, has returned to the traditional control scheme acting as a sequel to the SNES title. A new Zelda game is always on the horizon and it looks like Zelda Wii U is aiming for a scope much larger than anything we’ve seen in the series before. It’s great to see such a series remain relevant today and like Super Mario it’s the dedication to release games of the highest quality that keeps us coming back for more. If you’d like a more in-depth look at the history of The Legend of Zelda, follow the link below to GameTrailers retrospective video. 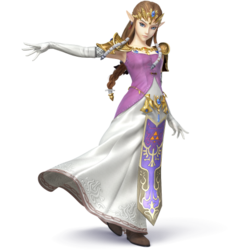 The Legend of Zelda marked the first appearance of the fighters Link and Zelda who have appeared in every Super Smash Bros. since N64 and Melee respectively. While Ganondorf does not appear in human form until Ocarina of Time, his Final Smash Beast form debuts in the original Zelda also. The items Heart Container and Fairy Bottle both helped Link out in the first Zelda too however the latter couldn’t be caught in bottles until A Link to the Past. Several enemies that Link faces in the game also appear to be smashed including: Like Like (Melee), Octorok (Melee and 3DS), Bubble, Darknut, Peahat and Stalfos (3DS).